Aside from the two new colorways of the Air Jordan 1 Phat Mid, Air Jordan 1 Retro original colorway, and the Jordan 1 Flight Low, one more model from the same line will hit the market this month. 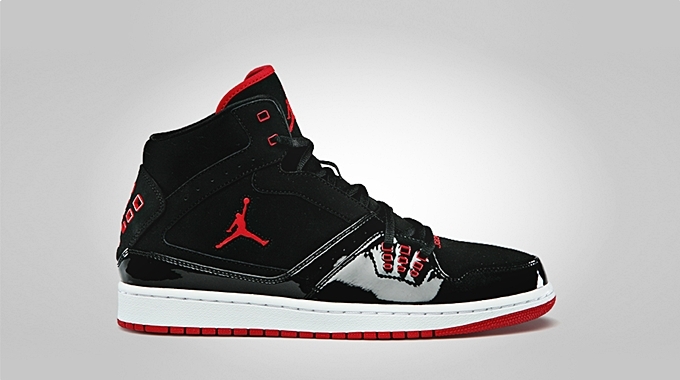 Coming out in the market this December is a new colorway of the Jordan 1 Flight. This Air Jordan 1-inspired kick will be released in an eye-catching Black/Gym Red – White colorway that will surely captivate Jordan Brand lovers this Holiday Season. The silhouette features a black upper with areas enhanced with patent leather and accented with several touches of gym red hints. Grab your own pair for just $100!